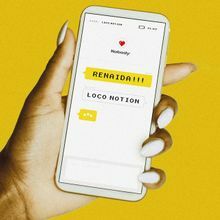 Renaida has followed up her hit Melodifestivalen-entry "All The Feels" with an even catchier, more infectious banger of a single, "Loco Notion." In shocking contrast to the usual lacklustre tendencies of the Swedish music industry with their negligence to proper marketing and visual presentation, Renaida has actually released a music video for this latest release. The video is bright, colourful, and whacky as heck, just like Renaida herself, in the best way possible. There's a bizarre doll/puppet, a flying car, lions roaring, and plenty of hair-whipping. What a treat!